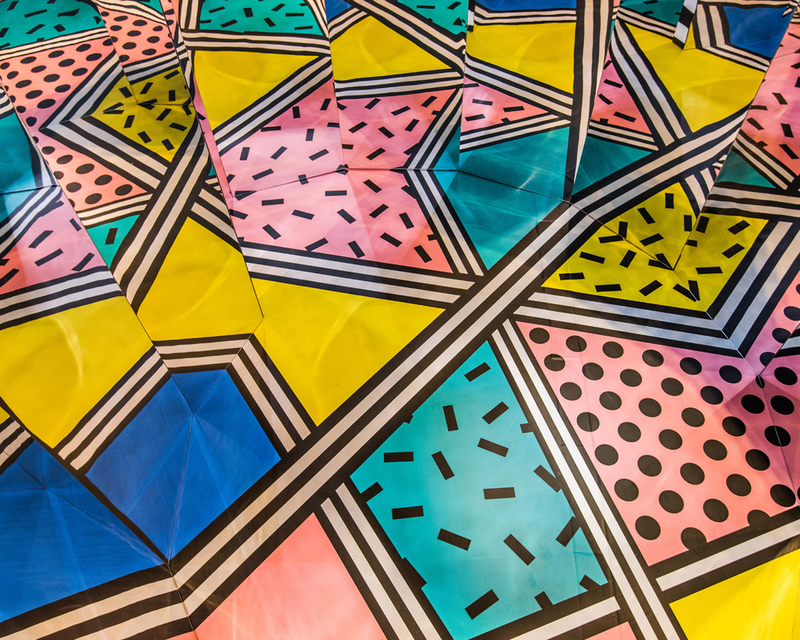 Artist/designer, Camille Walala, has created an eye-popping interactive installation, WALALA X PLAY, that’s complete with her signature graphic patterns, geometric shapes, and bold colors. She created a colorful maze that references the waterways of the Greenwich Peninsula, the curve of the Thames, and the shape and angles of the building. WALALA X PLAY is on display at the NOW Gallery in London.